EXCLUSIVE: World-leading spirits company Diageo is axing its Masters of Whisky education and mentoring programme in the US, with the loss of about 40 jobs, according to sources close to the situation. Report by Fred Minnick and Richard Woodard. Scotchwhisky.com has discovered that the company told its 24 Masters of Whisky of the decision to close the initiative – effective from the end of September – at the beginning of last week. The announcement came two days after the death of Evan Cattanach, credited with pioneering the scheme in 1993. His son, Gregor Cattanach, is one of the Masters of Whisky affected by the move. Confirming the decision, a Diageo spokesperson said a new programme focusing on marketing its Reserve portfolio of higher-end spirits brands in bars and restaurants would be run by ENTHUSE, the luxury division of the New York-based Inspira agency. Masters of Whisky has been run by another third-party agency, MKTG, which will continue to work with the company’s Crown Royal Canadian whisky, Ketel One vodka and Guinness brands. Masters of Whisky has its roots in an ambassador programme created in 1993. Last year, through its 24 ambassadors located throughout the US, the programme mentored more than 120,000 people on Diageo’s single malts and leading blends such as Johnnie Walker, as well as the company’s Canadian and American whiskies. The ambassadors’ work encompasses a range of tastings, masterclasses and events, from introductions to whisky to in-depth and more detailed production-oriented classes. It is understood that Diageo intends to shift its focus from brand- and category-focused education to a model based on luxury experiences in an effort to maximise sales at key on-premise accounts, with the Masters being replaced by consultants. The decision – part of a wider rethink of the company’s entire ambassador programme – is also understood to impact other brands and spirits categories, such as Don Julio Tequila. The move has been greeted with shock and disbelief by many in the US drinks trade. 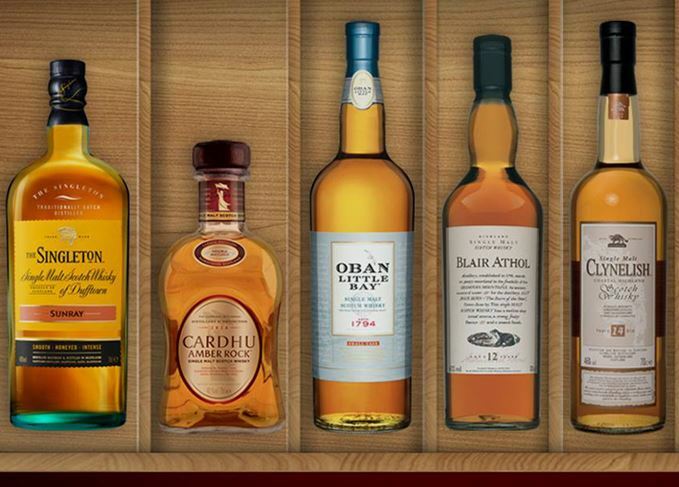 ‘Why they should choose to dismantle a best-in-class and widely admired programme to deliver the sort of education, training and customer and consumer engagement that has seen their Scotch and American whisky brands perform so well is, well, bewildering,’ said someone from outside Diageo who has worked closely with the programme. Diageo said it had decided to ‘evolve’ the programme after a review that included feedback from distributors, the trade and brands. ‘We believe it will benefit our Reserve business, a big part of which is Scotch and North American whisky,’ said the company spokesperson. The ending of Diageo’s Masters of Whisky programme will damage Scotch as a whole, says Dave Broom. Dramatic company U-turn follows axing of much-praised educational initiative two months ago.